Four senior U.S. House Republicans sent letters on Monday to the chief executives of Apple and Google parent Alphabet asking questions about location data and mobile phone privacy practices and the handling of customer data. 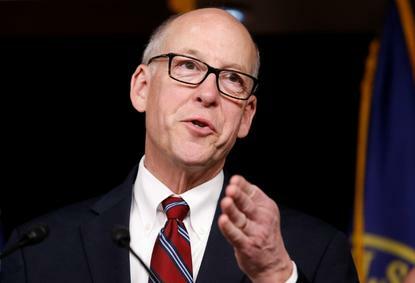 The chairman of the Energy and Commerce Committee, Greg Walden, along with three other senior Republicans on the panel, wrote the companies "to probe the companies' representation of third-party access to consumer data, and the collection and use of audio recording data as well as location information via iPhone and Android devices." Alphabet said Monday that it would answer the committee's questions. "Protecting our users' privacy and securing their information is of the utmost importance to Google," the company said in an emailed statement. An Apple spokesman declined to comment. The letters, made public by the committee on Monday, said the companies may be using consumer data, including location information and recordings of users "in ways that consumers do not expect." The letters cited reports that smartphones can, and in some instances, do, "collect ‘non-triggered’ audio data from users' conversations near a smartphone in order to hear a 'trigger' phrase, such as ‘Okay Google’ or ‘Hey Siri.’" They said there have been suggestions that third party applications have access to and use this ‘non-triggered’ data without disclosure to users. The letters both ask if Google Android or Apple iPhones collect audio recordings of users without their consent and said the committee "is reviewing business practices that may impact the privacy expectations of Americans." The committee cited a Wall Street Journal report last week that "Google still permitted third parties to access the contents of users’ emails, including message text, email signatures, and receipt data, to personalize content." The letters follow high-profile congressional hearings in April into Facebook's privacy practices, which included testimony from CEO Mark Zuckerberg. Reporting by David Shepardson; Editing by Frances Kerry and Richard Chang.